The newest passenger ferry route between downtown Vancouver and Victoria is on track to begin service next spring. Clipper Vacations will provide another option to those wanting to travel by ferry between Vancouver and Victoria. The acquisition of a 52-metre, high-speed catamaran able to carry 579 ferry passengers is scheduled to make one round-trip sailing each day. The ferry will depart Vancouver in the morning and sail from Victoria in the afternoon. The Ketchikan to Prince Rupert ferry sailing scheduled for Friday September 22nd has been delayed due to mechanical issues. Please double check with your booking agent to obtain a revised schedule. The MV LeConte has been cancelled for Friday September 22, Saturday September 23rd and Sunday September 24th due to a mechanical issue. More information can be obtained by calling 907-228-6836. The Alaska Department of Transportation has accepted a $300,000 bid from a Portland Oregon company to purchase the 50 yer old M/V Taku. Once relocated in Oregon, the purchasing company (KeyMar LLC) intends to refit the MV Taku for use as a floating hotel. The cross -gulf ferries ( ferries that skip Canada by travelling from Washington to Juneau and then across the gulf to the Kenai Peninsula (Whittier, Homer, Valdez) are now sold out for the balance of 2017. The cross-gulf ferries will start again in April 2018. Commencing 01 October 2017 vehicle drivers taking ferries to, from and within Alaska, travel at half price. From 01 October 2017 thru to and inclusive of 30 April 2018, vehicle drivers can save more than 50% of f the summer rate. Vancouver -> Victoria -> Butchart Gardens -> Vancouver all in one day ! Prince of Wales newest 60' vessel enables passengers to travel from Vancouver to Victoria on an exciting 4 hr cruise thru the Gulf Islands. Spectacular views of the coastline, plus the opportunity to see orcas and humpback whales, seals, sea lions and sea otters combine to make this trip a must. On arrival in Victoria, tie allows for a bit of shopping and / or sightseeing before hopping onto a Butchart Gardens dedicated bus where you can explore the magnificent blooms and landscaping that has made this Victoria gem World Famous. After a couple of hrs exploring the gardens, head to the private dock to embark on a sunset cruise back to Vancouver. 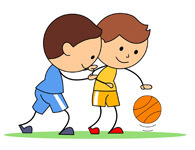 To accommodate a community basketball event in Angoon on the 13th May, the ferry schedule between Tenakee & Angoon has been reversed. May 2017 saw introduction of the newest & most luxurious ferry service operating along the west coast. Travelling daily between Vancouver Harbour (below the Convention Centre) and Victoria's Inner Harbour Terminal at Bellville Street, the V2V Empress carries 245 passengers and offers 3 classes of service. 1) Premium Comfort Service: provides main deck family-style ergonomic leather seating, Wi-Fi and electronic device charging and is the most economical. 3) Royal Class Service: with reclining leather seats on the premium deck, this class provides the most luxurious ferry service . Included is Wi-Fi, electronic device charging plus a complimentary 3- course meal, coffee & tea. No matter which class one chooses to travel, this 3hr 30 minute cruise provides every passenger with some of the most spectacular coastal scenery found anywhere in the world. Ferry service from Cordova-Tatitlek-Whittier is cancelled for 28th March 2017.
for the M/V Malaspina has been revised to add two stops in Kake. The Salish Eagle, BC Ferries second natural gas-fuelled ship has arrived in BC waters and found its home into the BC Ferry fleet reported Mark Wilson, BC Ferries' Vice President of Engineering. "The Salish Class are well built vessels that will help reduce our environmental footprint and our operating costs." The LNG-powered Salish Eagle will ferry between the southern Gulf Islands this summer. Commencing 11 March 2017, BC Ferries will implement a fleet wide promotion offering 50% off regular passenger fares on select sailings. Kids under 11 years can travel free during those same times. The first of the BC Ferries' dual-fuelled Polish built vessels arrived on the coast in January. 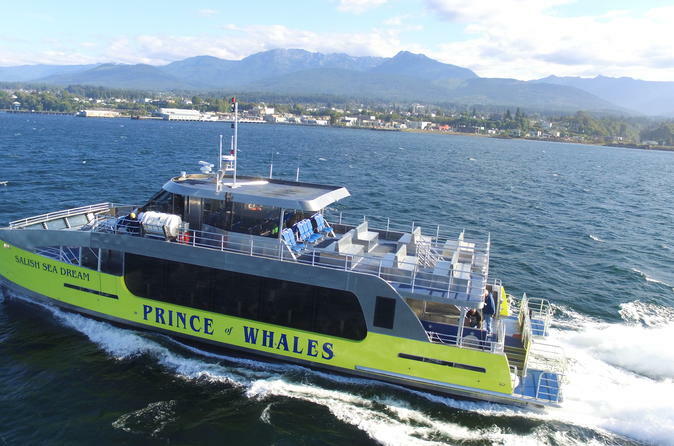 Commencing service this spring the Salish Orca will replace the Queen of Burnaby on the Powell River-Comox route. Two additional ferries, the Salish Eagle and Salish Raven are expected to go into service on the Southern Gulf Islands runs later this year. Commencing 08 Feb 2017, the MV Bowen Queen will replace the MV Island Sky for approximately 1 week. 2 extra sailings will be added to the regular Saltery Bay-Earls Cove schedule for the Family Day weekend. Please note that the MV Bowen Queen is not equipped with an elevator. Commencing 13 February 2017, travellers boarding the Alaska ferry from Prince Rupert BC to Ketchican AK will be required to use either a Visa, Master, Discover or Debit card to pay for their ferry crossing. There is no payment policy change for travellers using the BC ferry between Prince Rupert and Port Hardy. The Alaska ferry scheduled to travel on Thursday 05 January 2017 between Cordova and Valdez and Valdez-Cordova has been cancelled due to heavy winds. Alaska Marine (1-907-465-3941) will provide further information as it is learned. BC Ferry sailings between Vancouver Island and the Mainland post Christmas continue to be busy. Additional sailings have been added at the Swartz Bay, Tsawwassen, Duke Point, Departure and Horseshoe Bay terminals. The sailing schedule for the Alaska bound ferry departing Bellingham WA on 30 December 2016 has been changed to depart at 16:00h (4pm). Be advised that vehicle check-in in Bellingham, is 2 hrs prior to sailing.